Hey everyone! 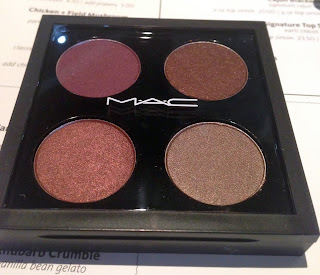 I had a busy birthday weekend and during it my boyfriend took me the to the MAC store and I invested in a customized MAC quad with the most gorgeous shades. The shades I picked up were Satin Taupe (obviously), Star Violet, Nocturnelle and Twinks. Some really beautiful plummy shades along with a gorgeous taupe and reddish brown. 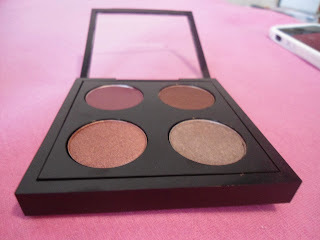 I've never owned a MAC palette so it's extremely exciting for me and I wanted to go with wearable shades that I didn't have in my naked palette and others. 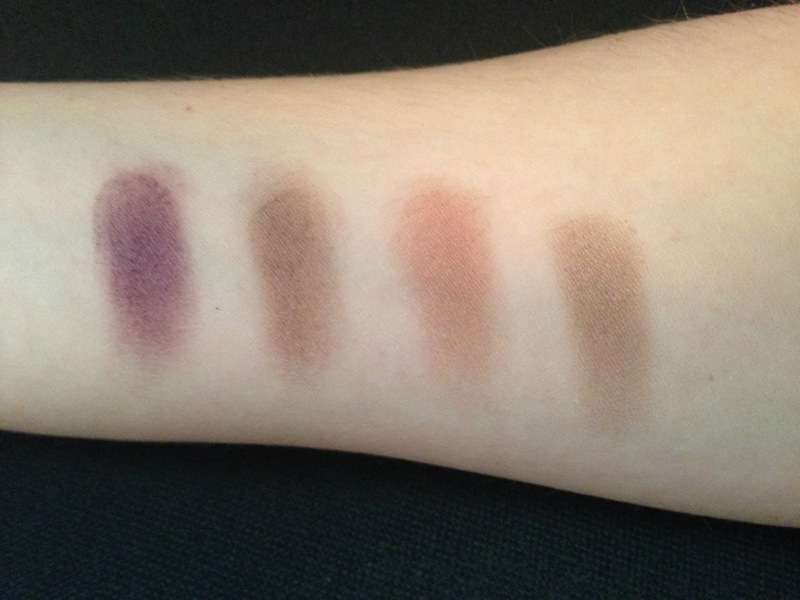 That's why I stayed away from too many brownish neutrals and went for more taupes and plums. Star Violet is similar to Cranberry (which they were sold out of) but it's lighter which is probably going to work better on my fair skin because I can't ever go too too dark with makeup or I look insane. Satin Taupe isn't translating as gorgeous on camera as it is in real life, same with Twinks. 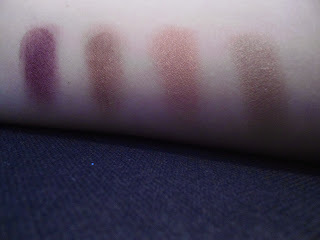 Satin Taupe and Violet have the most shimmer/sheen and Twinks has a light sheen. Nocturnelle is completely Matte. Hope you enjoyed seeing the shades that I picked out personally. 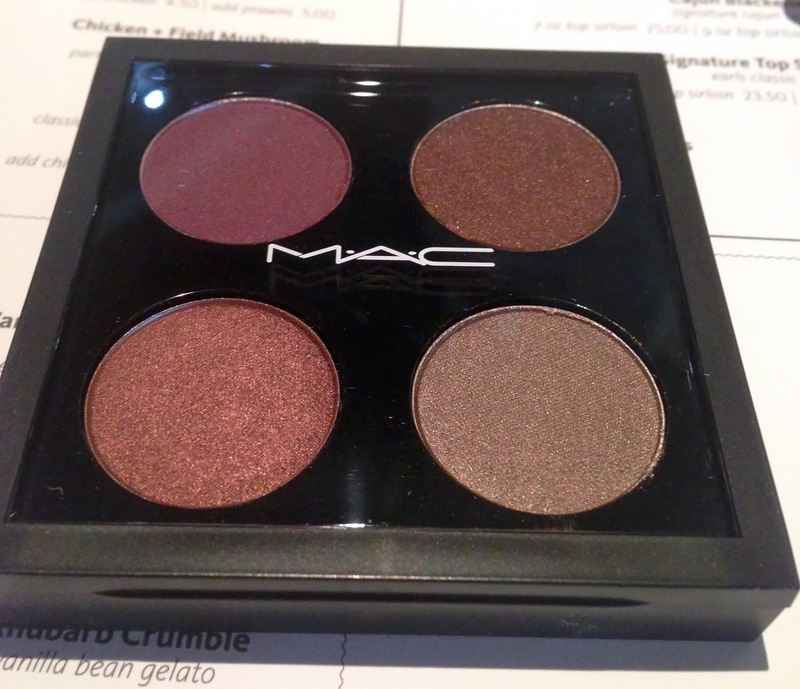 What colours do you have in your MAC palette?